Playing Fortnite on iPhone used to be awkward, but now it feels like playing on a tiny console. You can now play Fortnite on your iPhone with a MFi (Made for iOS) controller such as the SteelSeries Nimbus or the SteelSeries Stratus XL, and that’s a pretty big deal. The standard touch controls worked well enough when you were playing against other iPhone players, but they made you a walking target when you joined friends who were playing on the Xbox One, Nintendo Switch, or PC. True controller support, though, gives you a fighting chance. It works so well, in fact, that this could be a landmark moment in mobile gaming. We’ve had MFi controllers for years, of course, but rarely have they been put to such good use and for such a noteworthy property. Now that anyone can play the world’s most popular video game on an iPhone as easily as they can play it on the Switch or the Xbox, other studios might be tempted to release ports for current games to the iPhone as well. It certainly doesn’t hurt that they’re not hard to set up, particularly if you have a MFi controller that was released in the last couple of years. Essentially, it should easily hook up if you hit the controller’s pairing switch and then connect to it through the Bluetooth menu in Settings. You have might have to a little extra legwork with an older controller, but it’s still worth it. In our case, the only MFi controller I had was a SteelSeries Stratus XL that was originally designed for the iPhone 6—the companion app isn’t even on the App Store anymore. 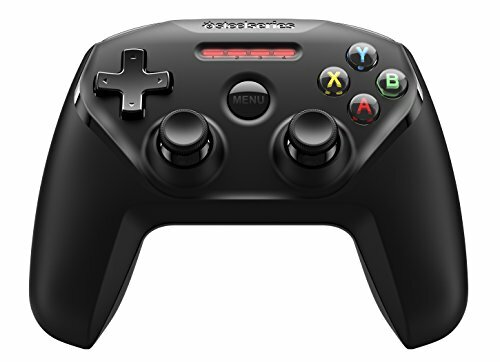 It’s still a great controller, though, and it commands a big section of our roundup of the best gamepads for Apple TV (which kind of doubles as a list of the best gamepads for iPhone). It paired with my iPhone XS Max easily enough, and I was even able to interact with menus in the Fortnite lobby shortly after installation. When I tried to hop into an actual match, though, I got slammed with a message saying, “Input Blocked.” I was ready to give up. Fortunately, fixing the issue merely involved downloading the latest firmware for the Stratus XL and installing it via a microUSB cable hooked up to my Mac. Once I did that, the Stratus worked as well as a DualShock controller should work for the PS4. Even if you have to deal with that hassle, it’s worth it. A controller makes it much easier to run around and shoot in Fortnite, as you might imagine, but more importantly, I find it better for Fortnite’s all-important construction elements than the touch controls. That's a personal preference, as I know some players are lightning-fast with the touch controls. Before today, though, building was always my least favorite aspect of Fortnite for iPhone. I usually just ignored it, as it was too much of a hassle. Now, though, it’s as easy to build walls or ramps as it is on the Xbox on Switch. Impressively, Epic gave MFi players a massive range of customization. 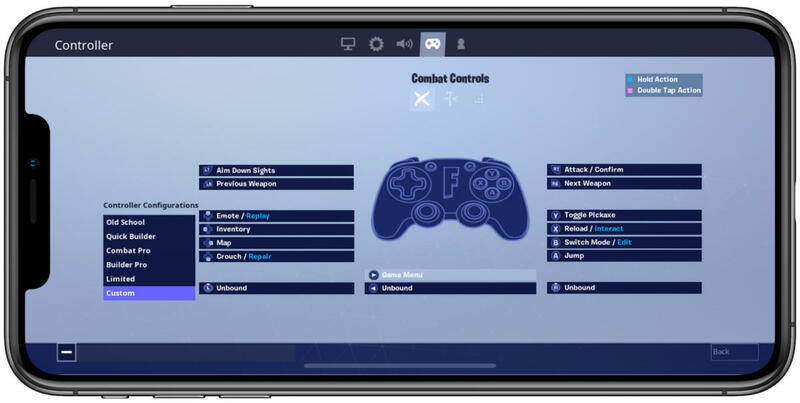 Fortnite for iPhone lets you choose from five different control configurations ranging from “Old School” to “Quick Builder,” or you can go maverick and set your own keybinds for the controller. Regardless of how you prefer to play with a controller, you can do it on an iPhone. I’m still astounded by the amount of customization allowed here. Touch players retain at least two advantages. For one, they still have the option to automatically fire at other players, while controller players will have to do their shooting manually. For another, they can still “feel” sounds around them through slight vibrations from the iPhone, which trigger when someone nearby is firing weapons or hacking at trees. That’s disabled when playing with an MFi controller, likely just as much to keep the iPhone from vibrating off the stand or table as to give touch players a little boost. After all, you’ll still be able to “see” sound through a circular interface element as you could if you were playing with the touch interface. This is a massive change for Fortnite’s iPhone port. It’s a night-and-day difference for gameplay, and I’m eager to see what the general player consensus will be in a, ahem, fortnight. It’s also worth noting that this news dropped on the heels of a rumor that Apple is preparing to release a subscription service for games of some sort. 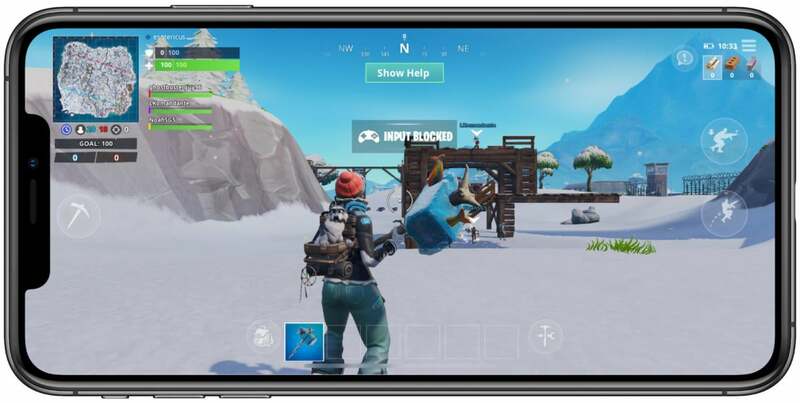 Fortnite is already free-to-play, but it could end up making an iOS gaming subscription sound more appealing if MFi controller support take off for other games in a big way. Keep in mind that the MFi controller support doesn’t mean that the iPhone is yet a true alternative to a dedicated handheld gaming device like the Nintendo Switch or 3DS because you’ll still have to lug around that controller. But after today, I’m convinced that this inconvenience is minimal enough that some players might be OK with skipping out on such systems altogether if more big games both come to the iPhone and embrace MFi support as thoroughly as Epic.